Hi there! 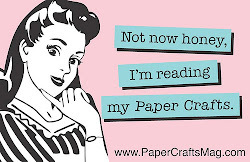 Yesterday was such a gorgeous day here that I couldn't bring myself to spend time in the Craft Cave. Instead I went to Pilates, Luis and I ran errands and then we chilled out on the patio with Tex before going for a walk to the beach and finishing off the day with a bbq. Today Luis went out with the boys for a bit so I did some DT work in the Craft Cave and was also able to make a couple of other cards including this one for the current ColourQ challenge. 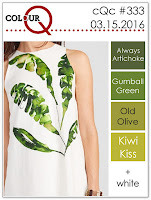 I used Paper Smooches' Positive Strokes 2 for the green and die cut some WPlus9 leaves from vellum. The sentiment is Papertrey Ink - one of my favourite sympathy sentiments. That's it for now. Hope you all had a lovely weekend! What a wonderful sympathy design Jen, I just gotta pin it! A lovely CAS card Jen! Thanks for joining us at ColourQ! Gorgeous..I love the soft vellum over the green. So soft and therapeutic. Lovely card, Jen, love the vellum! Thanks for joining in the fun at the colourQ. I love the softness the vellum lends this card. And your choice of colours. 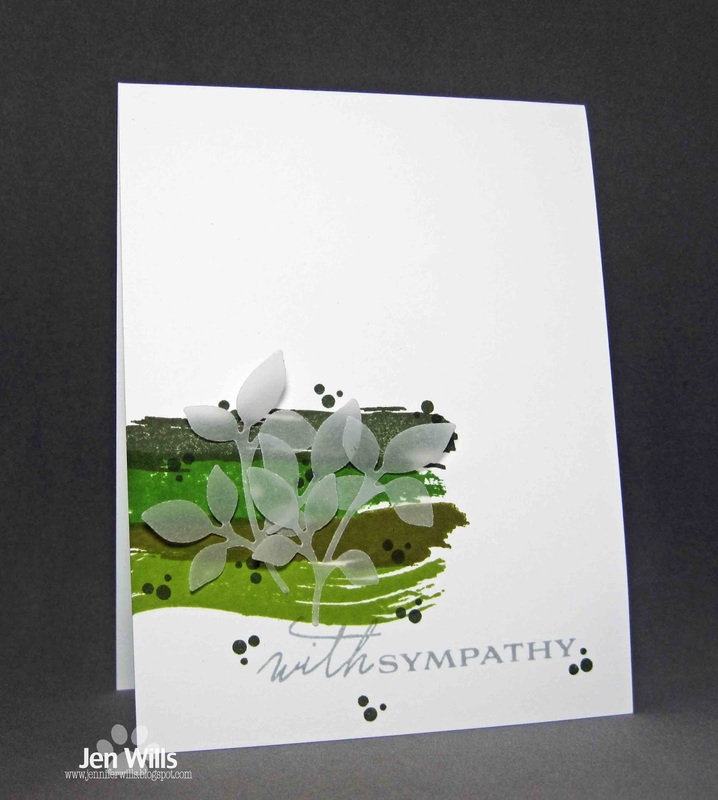 A truly beautiful and contemplative sympathy card. I think that I'm going to need to case this! What a beautiful sympathy card, and a perfect way to use all those greens. Love the vellum leaves. They soften everything up.